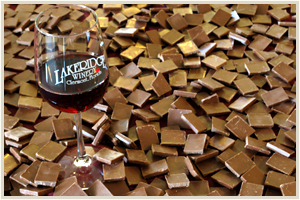 Lakeridge Winery will host its Wine & Chocolate Festival on December 14th & 15th. This two-day outdoor event will feature live music, an arts and crafts show, and award-winning Lakeridge wines paired with delectable Godiva chocolates. The event will be held Saturday from 10 a.m. to 5 p.m. and Sunday from 11 a.m. to 5 p.m. A $2 donation will be collected at the gate to benefit The American Heart Association and parking is free for all guests. Seating is limited on festival grounds, so bring your own lawn chairs or blankets. There will be food and beverage vendors serving a variety of delicious food and treats, as well as domestic and import beers and Lakeridge wines by the glass for purchase.